As Chief Medical Officer at DNAnexus, I’ve come to see my remit in very simple terms: I represent the voice of the patient-participant. At least, that’s my aspiration. It’s been tremendously heartening to see the centrality of the patient-participant increasingly acknowledged (see here, here), especially in the context of the President’s Precision Medicine Initiative, for example (see here). Today — especially here in Silicon Valley – we are awash in data, and in folks who love, and have remarkable expertise collecting data, working with data, analyzing data. The challenge, it has long seemed to me, is ensuring that we maintain our focus, and acknowledge data milestones (33 petaflops! One million genomes!) but reserve our greatest respect and joy for accomplishments that impact people – the conclusion of a diagnostic odyssey, the successful treatment of a patient – or even better, the prevention of disease in a high-risk participant. Not only should technology be measured by its impact on people, but technology should also strive to leverage and bring out the best in the people hoping to use it – which in healthcare means researchers, providers, and participants. During my training, I was especially moved by the words of pioneering pediatric surgeon Judah Folkman (see here), who preached the importance of inquisitive physicians and inquisitive researchers (and presumably, inquisitive participants) in driving medical progress. This perspective perfectly captures how I view the DNAnexus platform – not as a magical solution (biology is still hard), but rather as a secure, cloud-based collaboration and analytics tool that can enable inquisitive clinicians, researchers (and increasingly, I hope, participants) to ask thoughtful questions of massive amounts of data, to collaborate easily, and to generate and share new insights that help patients and participants. In this context, we feel especially honored to be supporting the two demonstration projects that were just selected by the California Initiative to Advance Precision Medicine (CIAPM), a public-private effort launched by Governor Edmund Brown, led by Dr. Atul Butte, and hosted by UCSF (see UCSF’s press release here). Both projects aim to yield quick results for patients. The first project, led by Charles Chiu, an associate professor of laboratory medicine at UCSF, uses genetic sequencing to identify potentially treatable infections in acutely ill patients; Chiu’s approach was utilized, perhaps most famously, to save the life of Joshua Osborn, a 14-year old boy who had been placed in a medically-induced coma after falling critically ill and experiencing brain swelling for unknown reasons. Genetic testing, using a methodology developed by Chiu and colleagues, identified the causative pathogen, which led to the successful treatment of Joshua and his subsequent recovery. The current project aims to expand the reach of this approach, initially to additional hospitals within the UC system, and eventually, I hope, to clinics across the nation (and globe). 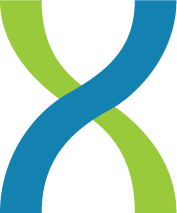 DNAnexus is committed to cloud-enabling the analytic pipeline, ultimately allowing samples and sequencing from a range of sites to be analyzed and securely shared using a common platform. Structurally, this approach of distributed sequencing and centralized analytics – which enables rapid scaling — is very similar to what DNAnexus has also enabled at Natera (see here). Paul De Kruif’s classic Microbe Hunters (see here) played a critical role in spurring my earliest interest in the excitement and promise of medical research; consequently, it’s been especially gratifying to see the DNAnexus platform applied to accelerate the understanding of infectious disease. The platform has also supported the Ebola research of pioneering Broad Institute investigator Pardis Sabeti and her colleagues (work also supported by the Broad, Illumina and the CDC); see here for a summary, and here for the June 2015 paper in Cell. The second project, led by David Hausler, a professor of biomedical engineering at UCSC and Ted Goldstein, a research associate at UCSC (and a former VP at Apple), seeks to identify precision treatments for pediatric cancer patients in California based on the genetic characteristics of their disease. This work builds on the UCSC Treehouse Childhood Cancer Project, which enables the combined analysis of cancer datasets. 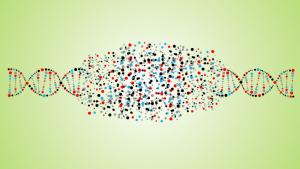 DNAnexus is currently supporting oncology analysis pipelines at UCSF and Intermountain. I am particularly excited to contribute to the analysis and sharing of oncology data because the opportunity and the need seem especially great. It’s essential that the culture of medical research – including (some might say particularly in) oncology — evolve from one of hoarding data to one that recognizes the urgency – certainly from the patient’s perspective – of sharing data, and catalyzing knowledge turns (to borrow Andy Grove’s term), and accelerating the rate of progress. We hope that our platform – and the analysis, collaboration, and insight it enables – can contribute impactfully to this process. As excited as we are to be an industry partner of both teams selected by the CIAPM, we are, as always, focused on execution, and can’t wait to roll up our sleeves and get to work here. We understand that for both demonstration projects, the ultimate measure of success is not the amount of DNA analyzed, or the amount of computation brought to bear. It’s also not the number of collaborators assembled nor the translational insights generated — though both are important intermediate markers. Rather, our success metric is the difference we are able to make in the lives of patients and families. Our ambition is the relentless and unwavering pursuit of this goal. Our conscience is all those who continue to count on us and on science to fulfill our solemn commitment. Dr. Shaywitz is Chief Medical Officer of DNAnexus. He also holds an adjunct appointment as Visiting Scientist in the Department of Biomedical Informatics at Harvard Medical School, and is co-host, with Lisa Suennen, of “Tech Tonics,” a podcast “focused on the people and passion at the intersection of technology and health,” available on iTunes (here).